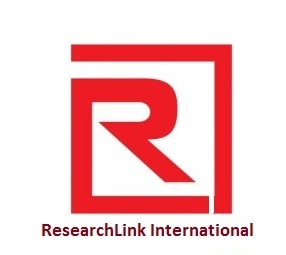 ResearchLink International conferences aim to encourage and promote high quality research on important theoretical, methodological and empirical issues in different fields with the aim of providing an outlet for innovative research in those fields. The conference is made up of nine (9) distinct conferences in different field and provide a platform for researchers, students, academia, government agencies and corporate bodies to present and share their original research to international audiences. Papers are in the form of full research papers, review papers, posters, abstracts etc. Accepted papers will be published in the conference proceedings (online and print) and also published in the peer-reviewed ResearchLink International Journals. ResearchLink Journals are monthly, peer reviewed, open-access journals dedicated to publishing quality, innovative and high impact research papers across several disciplines. Abstracts of all accepted papers will be published in 2019 issues of ResearchLink International Newsletter. Papers are sought that address solutions to problems in all fields of study. Only electronic submissions in the acceptable file type - (pdf) will be considered. Please upload your submission through the submission page. Your submission must be made within the due date. Select the appropriate conference discipline below to view the full list of conference tracks, venues and deadlines. Keep Up With Academic & Corporate Research News from Around the World! Subscribe to ResearchLink International Newsletter to receive current informational and research-focused news.